Those first few kilometres also indicate that the simpler set-up of the 20i allows the core quality of the chassis to shine through too. The skinnier front tyres and pleasingly thinner steering wheel mean you have a better idea what the front wheels are up to, even in town driving, while the reduced weight allows the Z4 20i to flow more readily over the road surface; arguably it moves around more over undulations but it feels more in tune with the asphalt rather than steamrollering over it. Ultimately the ride quality is excellent, and the stiffness of the structure pays off; even if you drop into a pothole you get no more shake than you would do from a fixed-roof coupe. Driven back-to-back with the M40i it’s hard not to feel that the 20i lacks pace. 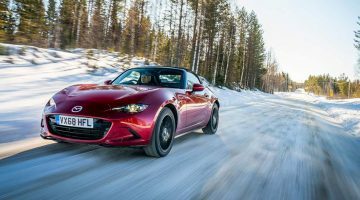 The outright performance figures don’t lie – 0-100kph in 6.6sec simply isn’t slow – but even with the roof down the sensation of speed is sometimes lost because the ride and refinement are so good. The strong torque results in good pick-up from low revs, but it can’t match it with redline punch, and although the eight-speed auto cannot replicate the fleetness of a good dual-clutch gearbox, it rarely thwarts planned downshifts and is a breeze to use in automatic mode. Where the Z4 20i really shows its value is when pressing on, and the subtle differences in specification make themselves felt. The steering still has less feel than is ideal, but in comparison with the M40i it is far more chatty, feeding back more detail about the road surface and varying its weighting as the grip levels change. 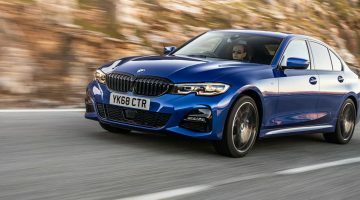 That makes it easier to lean on the narrower tyres too, skirting around the edge of the available grip at lower speeds and making the most of the natural balance front to rear. On dry roads there’s more grip than 194bhp can realistically challenge, but ultimately there’s more fun to be had even though you’ll be travelling a little more slowly – possibly because of the $16,000 change in your pocket. We’ve yet to drive it, but the spikier 30i may just be the sweet spot of the range. As an entry-level model, the Z4 20i’s starting price is a reasonable $49,200, with the M Sport model pictured here starting $2400 more at $51,540. 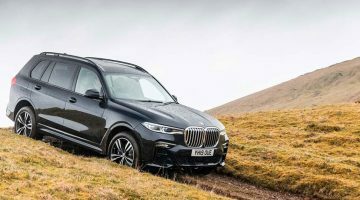 Standard equipment is not as sparse as you might expect, with standard 18-inch wheels, leather trim, LED headlights and the full suite of BMW’s latest infotainment system all standard.